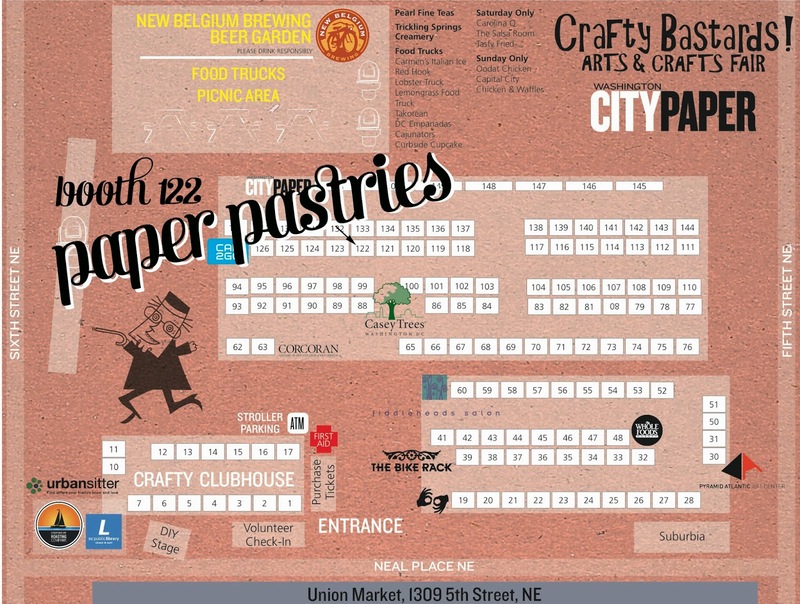 We are heading to our Nation's Capital for Crafty Bastards! We'll be at booth #122. Check out the rest of the vendors (and a bigger version of the map) here. Shopping for great handmade finds can make one, well, parched! With that in mind, Crafty Bastards will be serving craft beer. In partnership with New Belgium Brewing, there will be an outdoor beer garden featuring several of New Belgium's amazing Belgian-inspired beers, plus food from local vendors and D.C. finest food trucks. We have a special discount code for you craft beer lovers— a single day pass + 2 craft beers for $10 when you enter the discount code CRAFTYBEERME when purchasing your ticket online. One day of Crafty Bastards is not enough! Double your shopping time with an $8 weekend pass. We will only be there on Saturday, September 28th. We trying something new for this fair- only custom stamps and custom design. We'll see how it goes!